If you love the taste of chocolate and orange, then this cookie is definitely for you. I wanted to experiment adding an orange flavor to my favorite chocolate drop cookies. I am happy to report that I was successful. These cookies are awesome! These cookies will soon disappear. Preheat oven 350 degrees Mix butter, sugar, egg, orange zest. Mix the dry ingredients. Add milk, juice, dry ingredients, and chocolate chips. Drop by teaspoonfuls on greased cookie sheet, bake 8-10 minute or until done. That looks delicious! Thanks for joining my It's a Wonderful Life Planet Weidknecht Weekend Hop! I am going to try those soon, they look delicious! I saw your link ar Hopping Weekend. Chocolate and orange are two of my favorite flavors together. Yum. They look delicious. I love the ingredients especially chocolate! I am sure they taste great. Thanks for adding your link to the Creative Thursday Blog Hop. I am a new Follower of your Blog. What a great flavor combination! 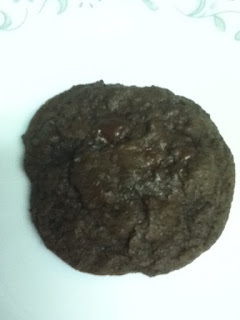 Thanks so much for linking your fabulous cookie recipe up at Sweet Temptations!